This completely and beautifully renovated three-bedroom home showcases contemporary comfort while presenting the opportunity for creative garden enhancement in the enormous 911sqm section. Perfectly placed to enjoy the numerous offerings in Sumner and set in an incredibly convenient, yet peaceful and private location. Clean lines, neutral tones and a tasteful modern style are ever-present in the superbly refurbished interior. While the exterior has a new roof, double glazed joinery, a new entranceway and cladding that had been modernized with rendered plaster over brick. The stunning white kitchen is open plan with the dining and living area and has indoor outdoor flow through bifold doors onto the rear deck. 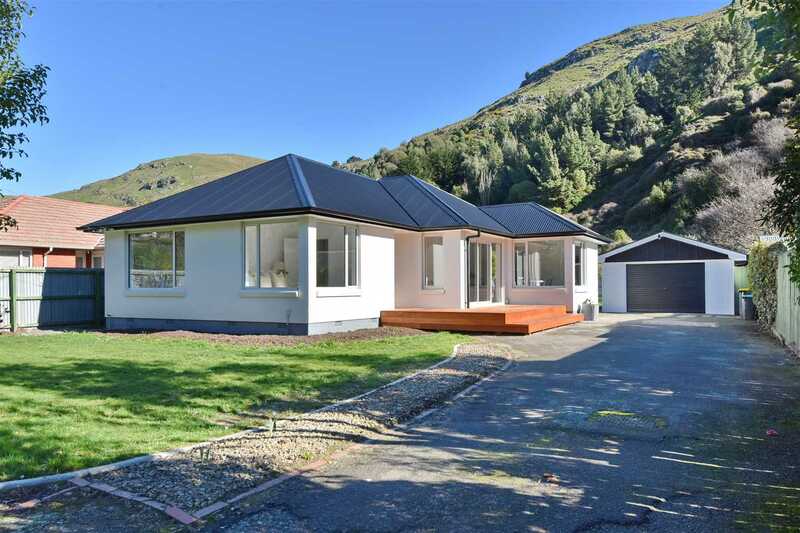 A heat pump and double glazing delivers the comforts associated with contemporary living, while three double bedrooms, a well-appointed tiled bathroom and a separate laundry, complete the floor plan. The undeveloped grounds would respond superbly to some trees and landscaping which would undoubtedly enhance the property. The decks present an excellent spot to unwind and entertain, while you look out to the lush wide-open green space and hillside beyond. Located right by the bus stop and Van Asch College and within a short stroll to Sumner Primary School and St Leonards Park. If you don't feel like making the leisurely walk into Sumner Village, then you can always opt for the short two-minute drive which will lead you to the restaurants, cafes, cinema, library and, of course, the beach. The pristine interior paired with the potential to create an inviting outdoor escape will appeal to couples, families and those with green fingers. Smart and ripe for the picking. Your earliest inspection is advised!